Are you waiting for Calcutta High Court Recruitment 2019? If yes, then here is latest information for you. Calcutta High Court has recently published a new advertisement for 200 Lower Division Assistant vacancies. Interested & eligible aspirants can apply through online mode. Registration for Calcutta HC LDA Jobs 2019 are starting from 20.12.2018. Closing date of submission of application form is 19.01.2019. This is a great opportunity for the participants who are interested. To get rest of details regarding, applicants must the given article carefully. What Are The Important Date for Calcutta High Court Jobs 2018? Fresh Update as on 31.12.2018: Applicants who are looking for jobs in Calcutta High Court can fill online form for Lower Division Assistant post. Before filling registration form candidate must check selection process and eligibility criteria for Calcutta HC Jobs. Participants must fill application form before 19th January 2019. Those applicants who wish to fill online application form must fulfill some eligibility to get eligible for Calcutta High Court Recruitment 2019. Participants must check eligibility criteria before filling registration form. You can check required education, age limit for Calcutta High Court LDA Vacancy 2019 in given below section. Candidates must have passed Higher Secondary Examination from West Bengal board or any other equivalent recognized board. For more information participants must check Calcutta High Court LDA Vacancy 2019 notification. Applicants who belong to General/ Unreserved/ OBC Category must have minimum age as 18 years. Similarly, aspirants should have maximum age of 40 years for Calcutta High Court Vacancy 2019. Here Upper Age Relaxation Scheme is also applicable for Calcutta High Court Recruitment 2019 as per rules and regulations of government. Candidates will be selected on the basis of written examination for Calcutta High Court LDA Recruitment 2019. Department will going to conduct written test for the applicants who have applied online for Calcutta HC Vacancy 2019. Written exam will conduct on 24th February 2019 tentatively. Applicants must download Calcutta Exam Call Letter from 9th February 2019 through the link given at the end of the article. 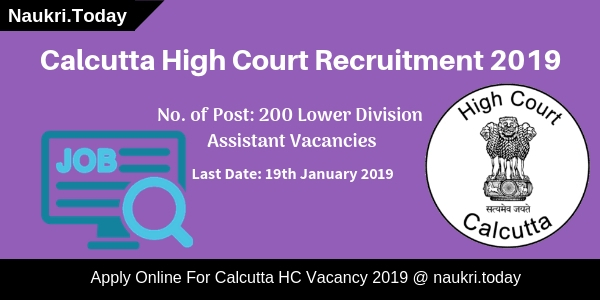 For further more details relevant to selection process aspirant can download Calcutta High Court Recruitment 2019 notification from the link given below. Applicants who have filled online application forms need to pay registration fee also. Candidates who belongs to SC/ST of West Bengal have to pay application fee as Rs.250/- plus Bank Charges. Similarly aspirants belonging to all other categories should pay Rs.500/- plus Bank Charges as examination fee. Application fee must be paid through online mode & candidates can also pay fee through offline by downloading E-Challan from website. To get more details read official notification of Calcutta High Court Jobs 2019. Department will pay great salary package to the candidates who are selected for Calcutta High Court Recruitment 2019. Selected participants will get Rs.5400/- to Rs.25200/- as their stipend. 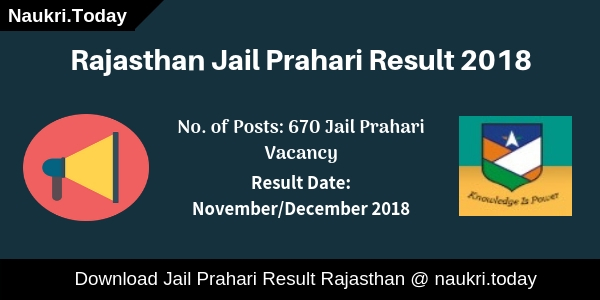 Applicants will get minimum salary of RS.6570/- with grade pay of Rs.2600/- along with other allowances. To get rest of information contenders must download Calcutta High Court LDA Vacancy 2019 notification from the link given below. Candidates who wants to fill online application form must apply online before or on 19.01.2019. Late application forms will be rejected by the department. So here we are providing you some simple steps to follow while filling online registration form for Calcutta High Court Lower Division Assistant Jobs 2019. Firstly, Participants must login to official website i.e. calcuttahighcourt.gov.in. Then search for Calcutta High Court Jobs Notification. Eligible candidate should click on “Apply Online” link. Then fill all the required entries in application form. Also upload recent passport size photo & signature in online form. Recheck all details given in Calcutta High Court Recruitment form. Make payment for application fee through debit card. Conclusion: Calcutta High Court has released notification for 200 Lower Division Assistant posts. Applicants who are eligible can fill online forms for Calcutta High Court Recruitment 2019. Application forms for Calcutta HC LDA Vacancy must be filled till 19.01.2019. Are you seeking for Calcutta High Court Recruitment 2018? If Yes, There is a news for you. Calcutta High Court Department has announced notification for filling up Group D (Farash/ Peons/ Orderly/Barkandaz/ Darwen/ Night Guard/ Cleaner) Vacancies. 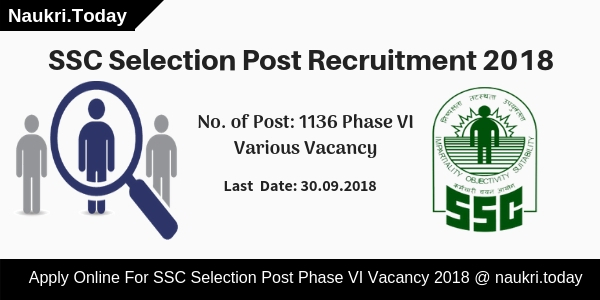 There are 221 Vacancies are available for Calcutta HC Vacancy 2018. Interested Applicants should check here education qualification, age, and selection criteria. Eligible Aspirants may fill up their application form before 29 October 2018. Online Registration has begun form 28 September 2018 for Calcutta High Court Bharti 2018. Calcutta HC Official Website: calcuttahighcourt.nic.i. Participants should check here qualification, age, and application fee for Calcutta High Court Vacancy 2018. Candidates should fill up their application form carefully otherwise, Their form will be rejected. Participants may also download official Calcutta High Court Notification 2018 from links given here. Participants who are going to apply for Calcutta High Court Recruitment 2018 must have an ability to read or write English and Bengali language. Aspirants should require VIII Pass Graduation Degree for Calcutta High Court Group D Bharti 2018. Candidates must be minimum age is 18 years and maximum 40 years old are eligible for Calcutta High Court Jobs 2018. The Department has provided Upper Age Relaxation as per government rule. Applicants who belong to SC/ST Category should be relaxed by 5 years. Maximum age of PDW Candidates is 45 years for Calcutta High Court Group D Vacancy 2018. Aspirants can pay their application fee through Online modes such as Credit Card, Debit Card, and Internet Banking for Calcutta High Court Recruitment 2018. Here we gave you a table which shows you the Application fee details. Selection of Candidates will be held on the basis of Test and Interview. Firstly Participants should appear in Test. Candidates who will qualify in Test will take part in Interview. Applicants should check official Calcutta High Court Notification 2018 for further more details. Here we gave you links to download Calcutta HC Jobs Notification 2018. The Department should pay Rs. 4900 – Rs. 16,200 with the Grade Pay of Rs. 1700/- and selected candidates may also get other allowance for Calcutta High Court Group D Recruitment 2018. Interested applicants may apply online form links given here. Candidates who are looking for Government Job may fill up their application form for Calcutta High Court Group D Vacancy 2018. Candidates should check here qualification, age, and selection Criteria for Calcutta HC Jobs 2018. Participants who fit in Eligibility criteria may apply online for Calcutta High Court Bharti 2018. Follow these easy and simple steps to download Calcutta HC Notification 2018. Applicants may search for Calcutta High Court Vacancy Section at the homepage. Participants should read the complete notification carefully. After that Aspirants may fill up their application form. Candidates should insert their passport size photo or signature in Form. Now Applicant may pay their application fee. Click on Submit Button for registration. Aspirants must keep one copy of Application form for feature use. Conclusion: Calcutta High Court Department has issued Notification for 221 Group D Vacancies. Participants should check here eligibility criteria for Calcutta High Court Recruitment 2018. Candidates should read the above article carefully for more information regarding Calcutta HC Jobs 2018.